In 1995, Marty and Michelle Cramer left successful careers in the publishing industry to start Cramer's Home Furnishings. 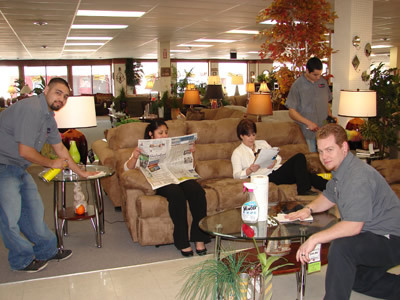 They opened their first furniture store in the small Eastern Washington community of Cle Elum and offered quality home furnishings, excellent customer service, quick delivery, and a smile to every customer that came through their door. This philosophy helped Cramer's develop its reputation as a leader in the community. Today our mission is to continue that legacy and provide the best value for home furnishings in a friendly and family-like atmosphere.